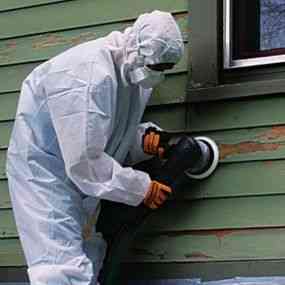 Lead Paint Hazard Assessment NY, NY | ProActive Environmental Corp.
Lead paint is paint containing lead. Lead is added to paint to speed up drying, increase durability, maintain a fresh appearance, and resist moisture that causes corrosion. It is one of the main health and environmental hazards associated with paint. In some countries, such as the U.S. and the U.K., now have regulations prohibiting the use of lead paint. It is still possible, however, for lead paint to still be found in older properties painted prior to the introduction of these regulations. Lead paint is hazardous to both children, adults and animals. It can cause severe nervous system damage, stunted growth, kidney damage, and delayed development. It is mostly dangerous to children and animals because it tastes sweet, therefore encouraging children or pets to put lead chips and toys with lead dust in their mouths. Lead paint is dangerous to adults and can cause reproductive problems in men or women. ProActive Environmental is a full service environmental consulting business that can help you determine whether you have lead paint in your building or not. We will take the time to show you the various ways the problem can be dealt with, and will outline costs of the options. If you are looking for a cost-effective, reliable and professional consultant team for any type of market, contact Jeff Bodell at 917-620-5546 or jeff@proactiveny.com.